Our 300 mm wide ceiling panels establishes a distinct and robust look. Panels span lengths up to 6 m, requiring fewer panels and joints to reduce installation cost. With two joint options and a variety of perforations for acoustic performance, our wide panels trim costs without trimming style. The robust look of the 300C/300L Wide Ceiling Panel fits perfectly in large open spaces with a high level of noise such as airports, shopping malls or conference halls. One of the 4 standard support systems can be chosen to fit project requirements. With excellent sound control properties, 300C/ 300L panels turn loud environments into spaces with a comfortable acoustic ambiance. 300C/ 300L Wide Ceiling Panels are suitable for all building sectors. These include corporate, transport (airports, metro, bus & train stations), retail, leisure, public space, hospitality, healthcare, education & residential environments. Luxalon® 300C/ 300L wide panel ceilings allow architects to design a closed, smooth ceiling with high-performance aluminium or steel. With two joint options, two materials to choose from and four different installation options, this type of ceiling system is able to adapt to almost any requirement. Different perforation patterns provide solutions for a variety of acoustic environments. The acoustic comfort in an office space, school or public building contributes to our well being as poor acoustic performance can affect health, communication, safety, productivity and learning. Hunter Douglas high performance acoustical ceiling products are the best solution to deliver outstanding acoustic performance, comfort and an aesthetically pleasing environment. With the Luxalon 300C/ 300L Wide Panel system an absorption value (αw) 0.75 can be obtained, depending on the ceiling and panel configuration. Further acoustic information can be found in the downloads section below. The Hunter Douglas Architectural range of ceiling products contribute to sustainable buildings through aesthetic solutions that enhance comfort and save energy. Promoting the health and well being of their occupants is arguably the most important function of building. Our shading solutions promote the use of healthy daylight without the hindrances of glare and thermal discomfort. Our acoustic ceilings are a key element in the provision of acoustic comfort. Environmentally sound materials are the key to a sustainable building. Our strategy is to pick materials that have good environmental properties to start with. Many of our products are made of aluminum produced in our own smelters. We have optimised our processes to use up to 99% of recycled content to produce the right alloy for our products. 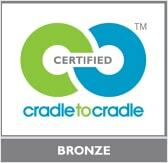 Our wood is FSC certified and we embrace the Cradle to Cradle principle in our product development. Reducing the energy use of the total building stock is key to the prevention of global warming. Most modern office buildings use more energy for cooling than heating. Effective management of the solar energy that passes through the transparent part of the façade is a key strategy in the prevention of overheating in both old and new buildings. Our high performance shading solutions bring substantial energy savings, while at the same time promoting health and wellbeing. Keen on Green is an important company-wide initiative to reduce energy consumption, water usage and our overall carbon-footprint. We embrace the ISO 14001 framework to actively manage our Keen on Green objectives. Hunter Douglas and its employees actively support the communities in which we live and work, as well as those on a more global scale. Business is people. We pride ourselves on our worldwide network of experienced, intelligent, passionate and creative people who have consciously chosen Hunter Douglas as their employer.